To save money for our remaining few weeks in New Zealand, we moved out of our flat and into a motel. I managed to find a room for $54 per night, as the stay was 20 days long. It was roughly the same price per week ($375) as our flat, and we didn’t have to pay for water or electricity. The down sides were a smaller space and only 200MB of WiFi per day. As a man that was raised to eat anything and everything, I’m not exactly a food connoisseur. I enjoy too much food to ever be an acclaimed critic. 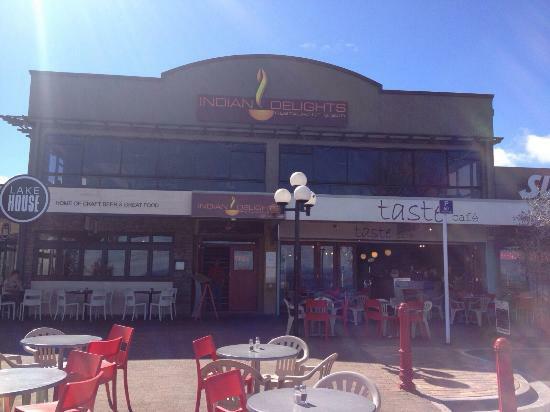 However I love Indian food and was therefore really happy to be invited to review Indian Delights in Taupo. This 100 seater authentic and fully licensed establishment comes advertised as having a “Million Dollar Lake View”. That’s quite a claim. They are open for lunch between 11am and 2pm so I popped in during my day in the area. 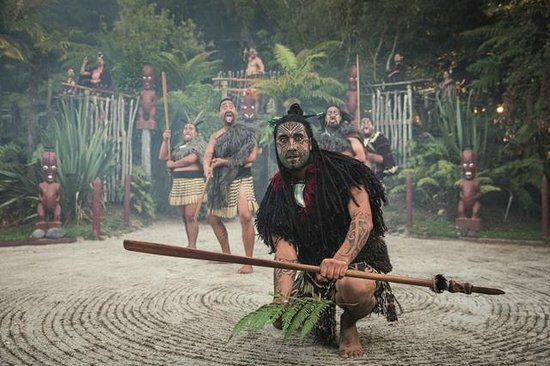 We weren’t sure what to expect when reviewing Tamaki Maori Village. According to TripAdvisor this place is the bees knees, and is ranked 2nd on ‘Things To Do in Rotorua’ at time of print. We’ll be the judges of that thank you! Tamaki Maori Village all began with two brothers having an idea many moons ago, and is now a fully functioning pre-European Maori village. After hearing good things about Agroventures Adventure Park in Rotorua, we were delighted at being invited to review it. We arrived around lunchtime on a Saturday in May, and we were very surprised to find the place almost empty. Agroventures offer 5 different “extreme” activities, and they are all unaffected by weather, so not going because it’s raining seems daft to me. Having the park almost to yourselves is fun though, as we could pick and choose what activities to do without considering queues. As we arrived we were welcomed by a happy receptionist that signed us in and gave us our wristbands. The bands were marked 4 times, which means we can do 4 of the activities once. We qualified for the Shweeb, Swoop, Freefall Xtreme and Agrojet. The bungy jump is ticketed separately, and we opted to leave that one out. The friendly staff member gave us a run through of which way we should go for all the activities, and even recommended an order for us. We decided to do the Shweeb first, as this is the world’s only commercial Shweeb. Basically it’s an upside down monorail powered like a bicycle. Situated on the outskirts of Rotorua lies Rotorua Hideaway Lodge. 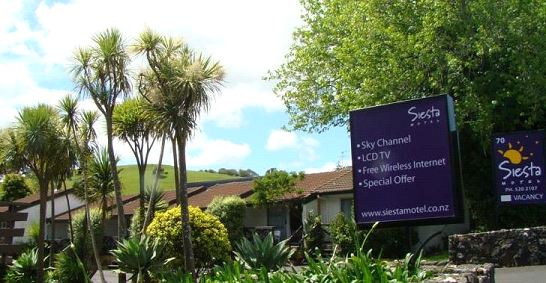 This aptly named set of 10 quiet, self contained units is tucked away from civilisation by a row of large trees. When we had the opportunity to review this place we were both very excited, and Rotorua Hideaway Lodge didn’t disappoint. We arrived slightly later than scheduled, around 4.30pm, and were met with a gravel driveway that bends around the aforementioned trees. On the drive in, there are some dolls dressed as humans, surf boarding, playing rugby and cycling. They are a nice touch. Mannequins aside, the first noticeable feature about Rotorua Hideaway Lodge is the peacefulness. They have 4 acres of gorgeous land and the only sounds are those of nature. I had the chance to review Pure Dirt Tours in Rotorua, and having never ridden anything except a moped, I jumped at the chance!